After I wrote NUTRITION STRATEGIES THAT WORK, PART I and PART II I found myself submerged in questions about ketogenic / low to no-carb diets versus moderate to high-carb / low-fat diets. THESE TWO STRATEGIES ARE POLAR OPPOSITES SO AS YOU CAN IMAGINE MANY ARE PUZZLED BY WHICH APPROACH THEY SHOULD FOLLOW. The question I kept being asked was which approach I follow since I really didn’t state a preference in the article but rather stated the facts about each. Though I believe different strategies are best suited for different circumstances I know you're not looking for the democratic answer, so here it is. 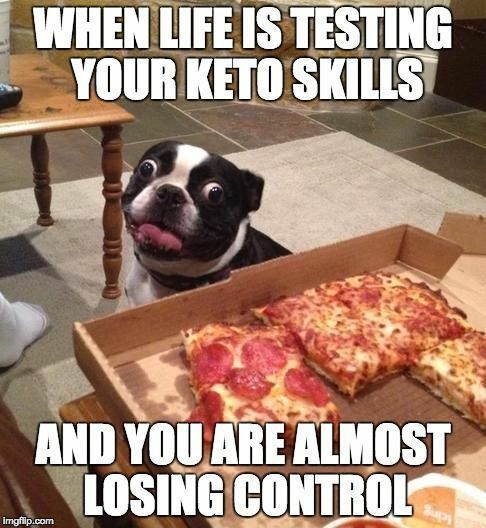 I PERSONALLY GO LOW(ER)-FAT HIGH-CARB OVER KETO EVERY TIME. Well...science for one. Psychology, for two. Performance, for three. In head-to-head studies and side-by-side comparisons there is virtually zero difference in fat-loss between keto (low-carb) diets and low-fat (high-carb) diets. Let me say that again...there is virtually ZERO difference in fat-loss between keto and low-fat diets. The diagram below is from a paper by Foster et.al.) in the Annals of Internal Medicine review[ing] the outcomes of a 2-years dietary intervention employing low carb vs. low fat diets. A 1990 study by Kinabo and Durnin found that the composition of a meal had no influence on its thermic effect and what is of greater importance is the total calories of a meal. What this means is that there is no fat-burning advantage to an all protein/fat breakfast over one that has a mix of protein, carbs, and fat. See the diagram below from the study. A systematic review of 26 papers on this topic by Quatela et al. (2016) concluded that meals with a high protein OR carbohydrate content had a higher “diet-induced thermogenesis” than high fat. THIS MEANS THAT CONTRARY TO EVEN MY LONG-HELD BELIEFS THERE IS NO BODY-FAT BURNING BENEFIT TO A PROTEIN RICH MEAL VERSUS A CARBOHYDRATE RICH MEAL BUT BOTH HAVE A SLIGHT ADVANTAGE OVER A FAT-RICH MEAL. What about studies that point to keto/low-carb diets being superior for fat-loss? As mentioned in the NUTRITION STRATEGIES THAT WORK PART I article there is one serious flaw with these studies which causes them to be very misguiding. That is, the low protein intake of the low-fat/high-carb groups. In studies and meta-analyses where protein is equated for there is no statistically significant advantage of ketogenic or low-carb diets over low-fat higher carb diets. 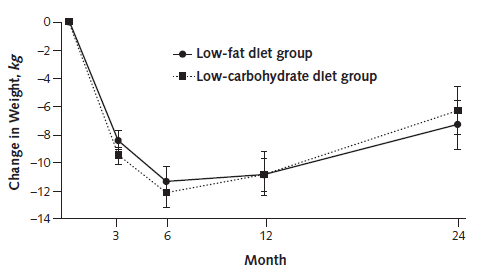 And in "in-patient studies" where people are given what to eat and not “reporting” on what they eat—low-fat / moderate to high-carb diets actually outperform low to no-carb diets. THE PSYCHOLOGY OF DIET CANNOT BE MINIMALIZED OR IGNORED. I’m not going to spend a lot of time on this because I believe the issue is pretty self-evident. Whatever approach to nutrition you choose it must be one you can adopt over a lifetime. It needs to become YOUR norm if you’re to have any success. The biggest problem seen with low/no-carb diets is when the person can no longer tolerate the harsh restrictions and resumes eating carbs, the body-fat regained offsets any loss experienced. This can be avoided by progressively adding carbs back into the diet in small increments but few people exhibit this type of self-control when they make this shift. In fact this “shift” is usually more like a shuffle over to the desert, bakery, and ice cream aisles. I prefer to take this potential problem off the table right from the start by allowing carbs in the proper amounts and limiting sugar. Limiting our consumption of unhealthy foods no matter their macronutrient makeup is just commonsense. Vilifying sugar, starches and grains just like we had once vilified fat is senseless. What we should be vilifying is the over-consumption of calories in all forms and focusing on being sensible. You’ve heard it said that some people live to eat and others eat to live. Ninety percent of the time I fall into the latter, I eat to live—or in other words, I eat to build muscle, strength, and perform at my peak. If a particular way of eating proved superior for building muscle, strength, and maintaining a high level of performance I would be all over it. Unfortunately there is no superior diet method based on the science. The body of available research reveals almost identical results as far as fat-loss, muscle development, strength gains and aerobic performance. 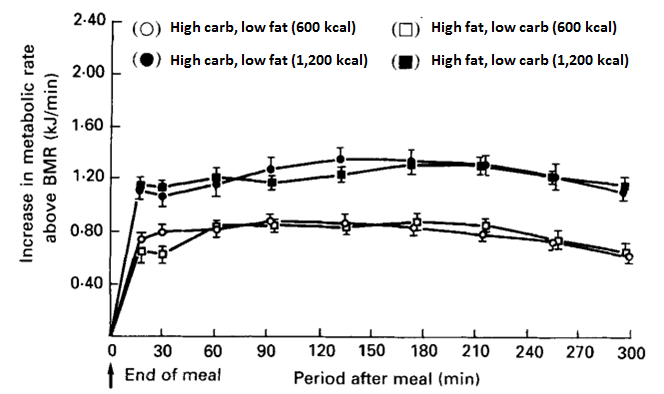 In which instances an advantage is observed it typically goes to the high(er)-carb diets. In a paper titled "High-carbohydrate diet increases post-exercise oxygen consumption after a supramaximal exercise bout" (Ferreira. 2016) published in the Brazilian Journal of Medical and Biological Research, the researchers showed that participants consuming a high carb diet outperformed those who consumed a low carbohydrate (10%) diet on several exercise related measures. In summary, the high-carb group had a higher time to exhaustion, a higher output of mechanical work, a higher VO2 thus greater energy expenditure, and the high-carb group burned more, not less, fat. Burke, Louise M., et al. "Low Carbohydrate, High Fat diet impairs exercise economy and negates the performance benefit from intensified training in elite race walkers." The Journal of Physiology (2016). Helge, Jørn Wulff. "A high carbohydrate diet remains the evidence-based choice for elite athletes to optimize performance." The Journal of Physiology (2017). have also shown higher carb diets to be more effective than keto diets as it pertains to athletic performance. A study published in the International Journal of Exercise Science (2016) by scientists from 3 universities on "The Effect of a Moderately-low and High Carbohydrate Intake on Crossfit Performance." showed that Crossfitters who had a high carbohydrate intake were able to perform more reps in a given workout. I'M NO FAN OF CROSSFIT BUT I AM A FAN OF GETTING MORE WORK DONE WITHIN A WORKOUT! Lastly, a not yet published paper by Dr. Jacob Wilson touting the significant advantages of keto versus a Western diet (55% CHO, 20% PRO, 25% FAT) for fat-loss, muscle development and performance, has recently been making waves all over the diet and exercise world. Though the study is strong in many ways the fact checkers combed over the study and found that some of the claims concluded from the study are seriously hyped up. In examining the nutritional procedures that preceded collecting the final data to determine lean mass gains and fat loss it was discovered that the researchers’ carb loaded the keto group. The consequence of this cannot be underestimated. In scrutinizing the results the keto group had a significant increase in intramuscular water which registered as being increased lean mass—which in turn registered a lower body-fat percentage. However even by the author, Wilson’s own account, “[the] groups gained similar amounts of muscle mass throughout the entire study”. SEE THE FULL ARTICLE HERE. In light of all the evidence we are right back where we began. Despite bold claims made by ketovangelists their approach holds no fat burning, muscle building, performance or health advantages over their high-carb adversary, and vice versa. With this in mind, the question you need to ask is, how do you want to live? After experiencing both and working with other bodybuilders and figure competitors who have done both, the practical evidence leads me to maintain and recommend nutrition plans consisting of 45-55% carbs, 25-30% protein, and 15-25% fat.